Bamboo is a widely used, versatile plant found in many homes throughout the world. 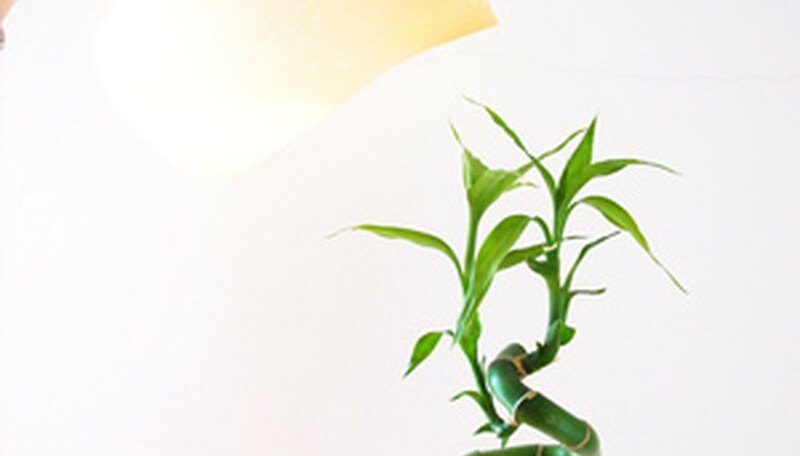 Fast growing and easy to cultivate, bamboo is an attractive addition to the home plant collection. There are no known allergens in bamboo. In fact, bamboo is a plant that increases air quality by taking in pollutants, according to research by NASA. Bamboo is used in cooking, as canes, for medicinal purposes, decoration and furniture. The uses for bamboo are almost endless, according to the website Green Living Tips, and bamboo has been used to create charcoal, baskets, pens, umbrellas, particle board and roofing. The cause of indoor allergies is always a concern for allergy sufferers. Although indoor plants that aren't dusted enough may create an allergic reaction, there are no known allergens in the bamboo plant, and the University of Connecticut Home and Garden Education Center deems it safe for indoor use. The All Allergy website states that no allergens in bamboo have been characterized. The website Bamboo Grove states that bamboo is the least likely natural fiber in clothing to cause an allergic reaction in sensitive adults. Bamboo clothing wicks away moisture, sustains an even temperature and is completely breathable. Bamboo Grove further states that bamboo contains bamboo kun that will kill up to 70 percent of bacteria attempting to grow. Bamboo clothing will also block ultraviolet rays. Bamboo is considered a low allergen plant, but some sensitive individuals may still have a response to the plant. The response occurs mainly when the plant is touched, causing contact dermatitis, according to All Allergy. If you have bamboo plants in your home, make sure that the leaves are sprayed to avoid collecting dust. Avoid handling the plant if you are sensitive to bamboo. Bamboo is a renewable resource that may someday replace wood and plastics, according to Green Living Tips. Bamboo is easy to grow, replenishes quickly and has many identified and potential uses.